On any given day, along a stretch of the downtown thoroughfare known simply as Broadway, the sidewalks are teaming with country music fans and tourists pouring in and out of local honky tonks and record stores in search of the sweet sounds of Music City, USA. Two summers ago, the only sounds heard along this main drag were the excited cheers of local hockey fans who turned several city blocks into a mosh pit of humanity as they stood shoulder to shoulder to cheer on their beloved Predators in the 2017 Stanley Cup Finals. Hockey has certainly come a long way since the first puck dropped on the team’s expansion season in 1998. After a number of lean years, the team has become a perennial force in the Western Conference of the NHL and has turned fans of the Grand Ol’ Opry into rabid followers of the grandest game on ice. A lot of that credit is aimed at David Poile, whose patience and vision built a winning franchise out of the ashes of an expansion draft, and turned Nashville into a hockey market that takes a backseat to no city on either side of the border. 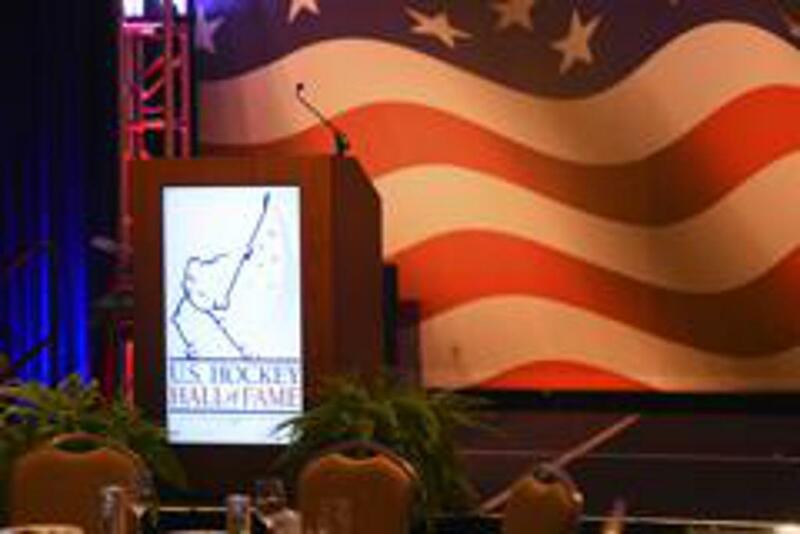 The next step in this fantastic journey will come Wednesday night as the Class of 2018 will be inducted into the U.S. Hockey Hall of Fame during a sold-out ceremony at the JW Marriott, which is a short skate from the Bridgestone Arena, where the Predators play. Poile will be joined by legendary college coach Red Berenson, three-time U.S. Olympian Natalie Darwitz, hockey pioneer Leland “Hago” Harrington and long-time NHL official Paul Stewart. In addition, Jim Johannson is receiving the NHL's Lester Patrick Trophy for outstanding service to hockey in the United States. For Poile, the evening has less to do with his numerous accomplishments and is more of a tribute to how far hockey has come south of the Mason Dixon Line. 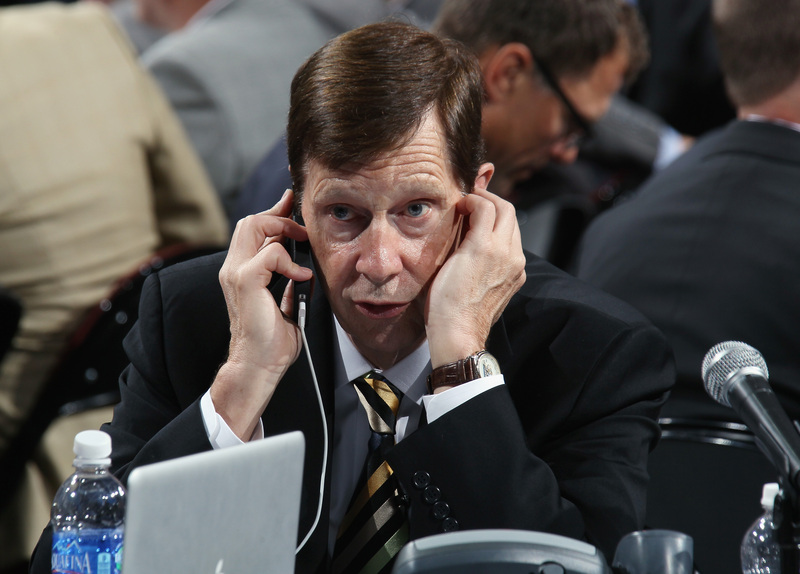 “It’s a real reflection not so much on myself but to how good of a hockey market Nashville really is,” said Poile, who is the only general manager to notch more than 500 victories with two NHL teams. When tracking the path to how far the franchise has come, Predators’ Chief Operating Officer Sean Henry points to several watershed moments. The first, he said was hosting the 2016 NHL All-Star Game. The festivities surrounding the game not only provided a showcase for how the hockey and country music culture are intertwined in Music City, with performances by some of the biggest names in show business inside and outside the arena, it raised the bar for other NHL cities to live up to. The following season, the Predators scratched and clawed through the Western Conference and faced off against the defending champion Pittsburgh Penguins in the Stanley Cup finals. The series lasted six grueling games before the Preds went down swinging. The scenes on national television of fans packing the downtown streets and rooftops to watch the games on big-screen TV’s proved once and for all that hockey and honk tonks could go hand in hand. And now with Poile and the rest of the Class of 2018 ready to take their place in the U.S. Hockey Hall of Fame in front of a capacity crowd, Henry said this will be another crowning achievement in 20-year love affair with their team and the game. “Our fans love the game, they embrace the game, and we’ve had an opportunity to put them on a national stage twice. And now you bring that almost full circle with the guy brought hockey to us is being inducted into the U.S. Hockey Hall of Fame,” Henry said.